Born in 1959 in Kanazawa, Ishikawa Prefecture. Trombone in junior high school to start. Prestigious Band, Tenri High School, many brilliant achievements Masonry, working on music seriously. Started working as a professional bassist from Kwansei Gakuin while studying. During his stay in New York from 1985 to 1999, to deepen exchanges with black musicians, jazz, gospel, funk and many other participants in the session. 1995, mainly black musicians FUNKITO formed. Live on a regular basis starting at the Knitting Factory. 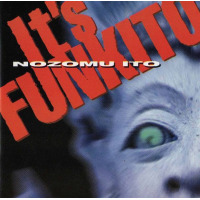 1st Album in the year 1998 It's FUNKITO was released. To establish their own jazz funk, get a favorable reception. After returning home, support, composer, music teacher also served in 2007 after years of 10, 2nd Album, Night Smoker was released. Then, in January 2012, 3rd Album SWEET SECRETS-featuring Syunzo Ohno & friends announced. (Featuring Syunzo Ohno (Tp), Stafford Hunter (Tb) from New Yord, Makoto Izumitani (Drs) from LA) As FUNKITO live, and Japanese members were reunited after returning home. Then live activities around Tokyo. In 2006, return to Kanazawa G-yeah! Label founded. All About Jazz musician pages are maintained by musicians, publicists and trusted members like you. Interested? Tell us why you would like to improve the Nozomu Ito musician page.